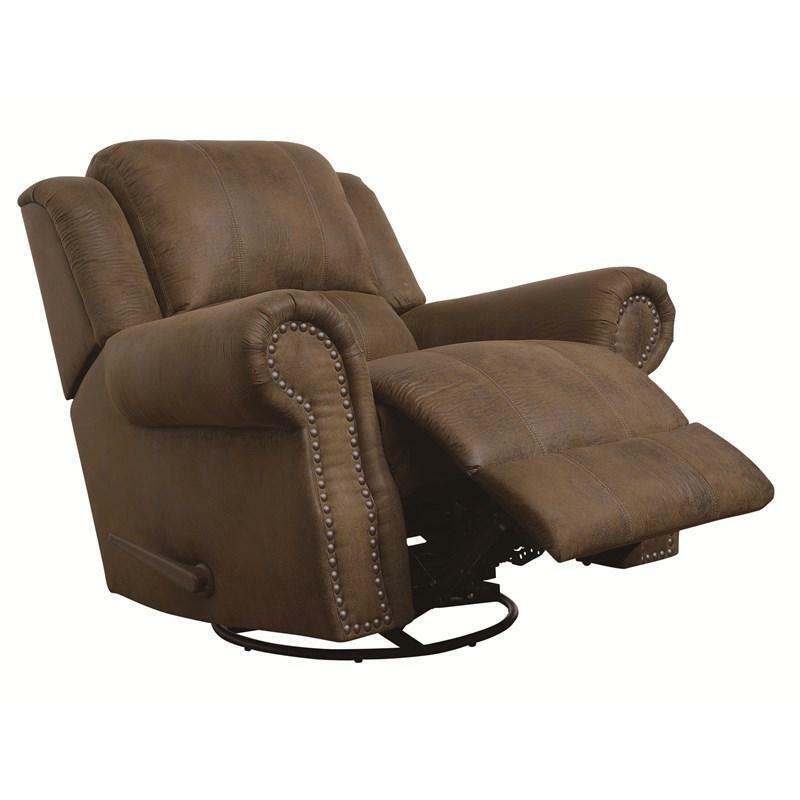 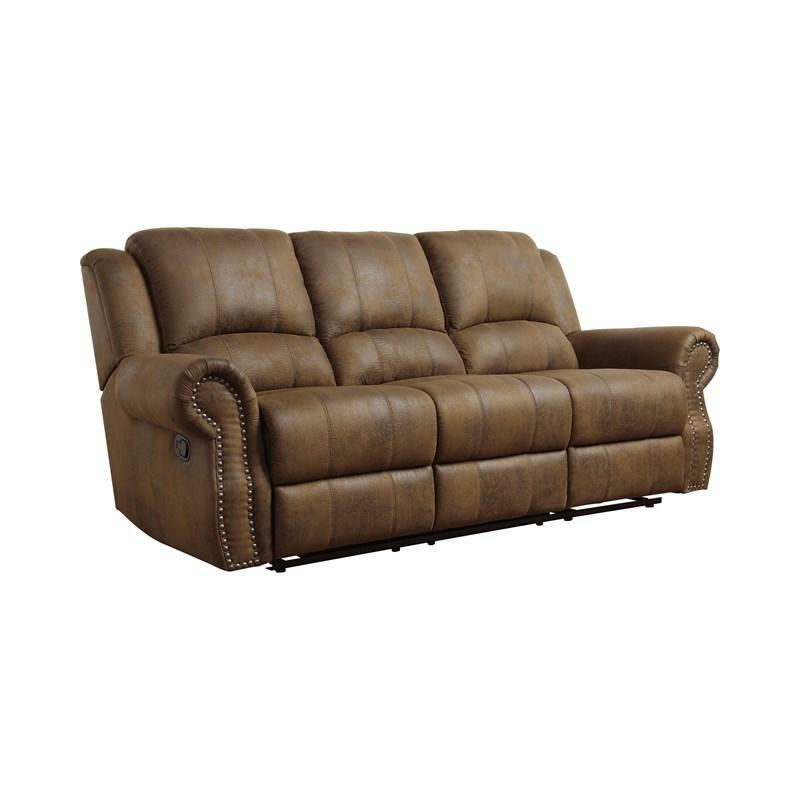 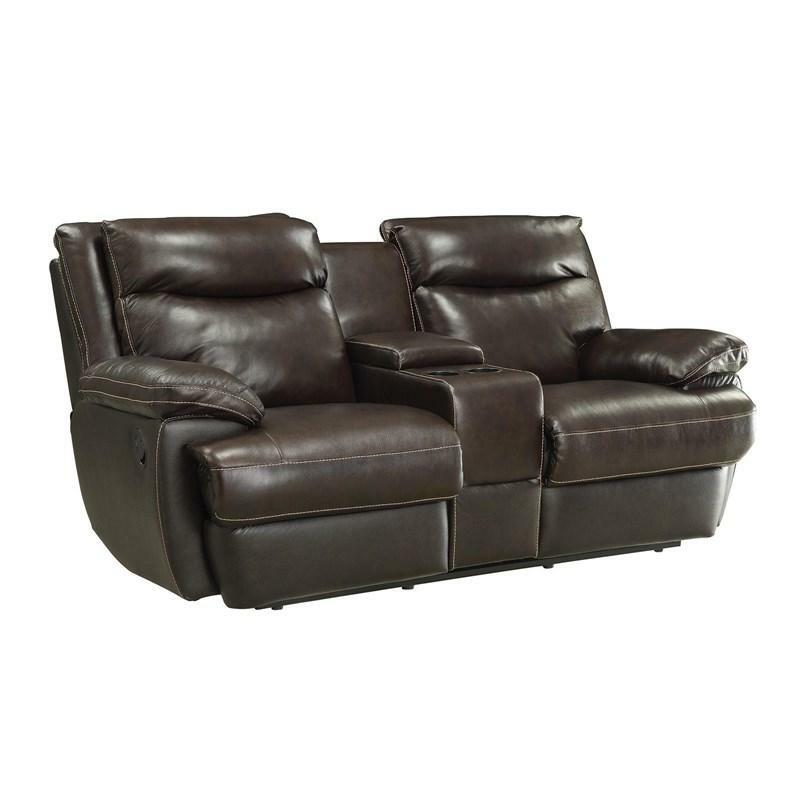 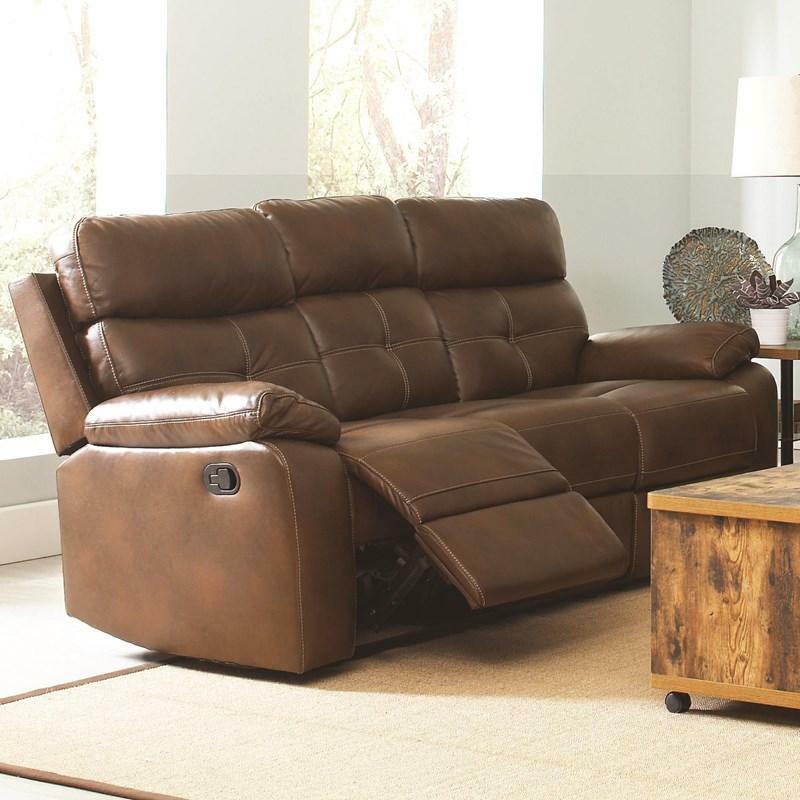 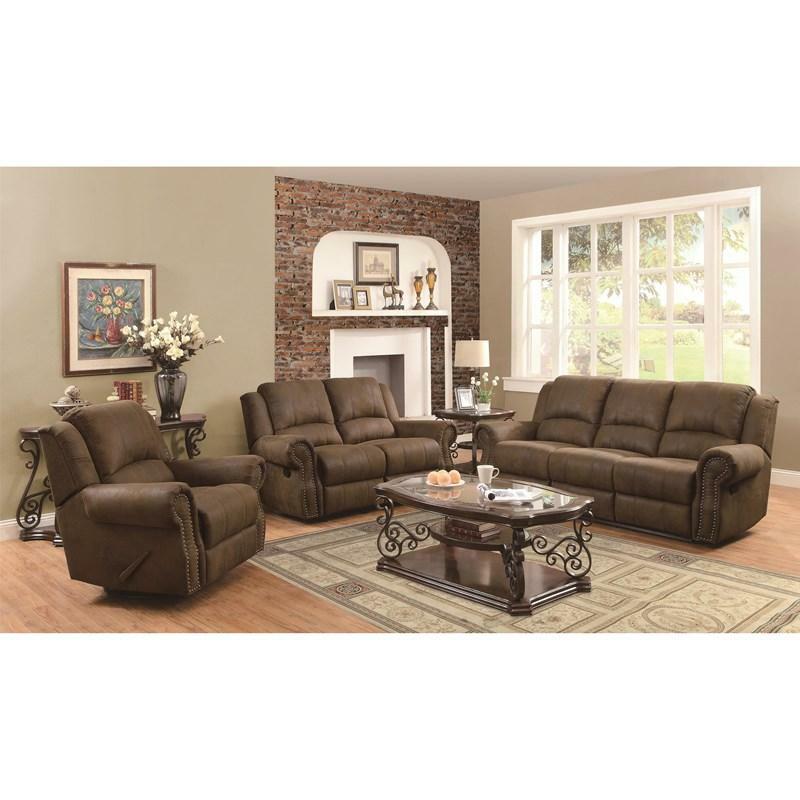 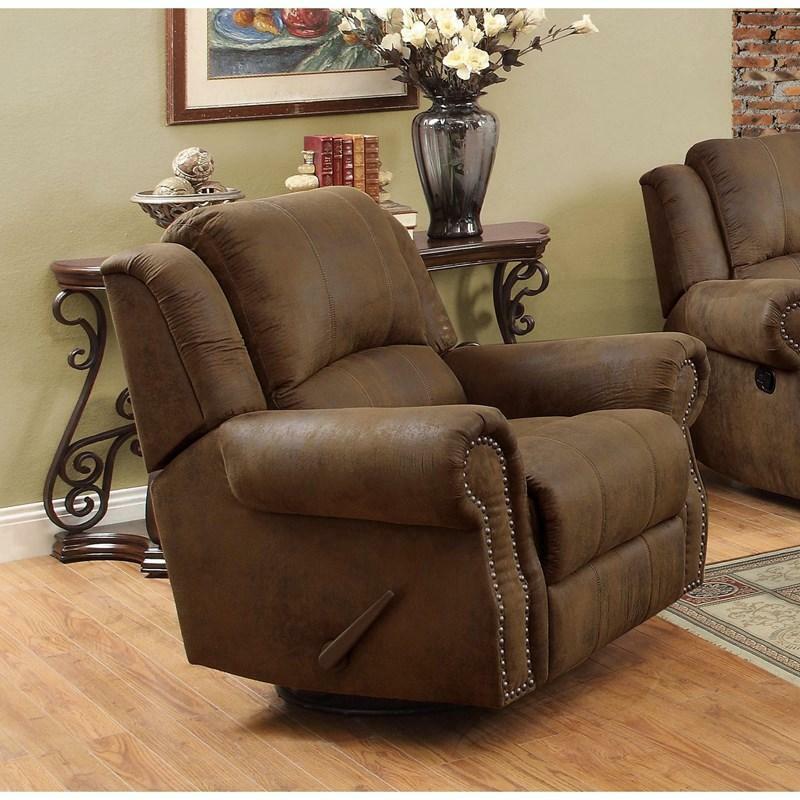 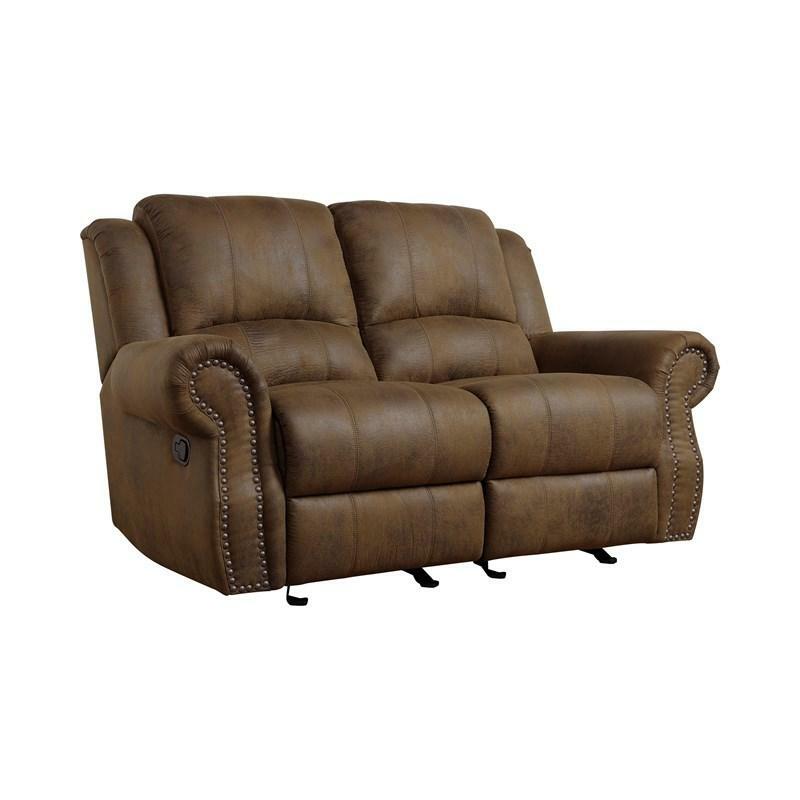 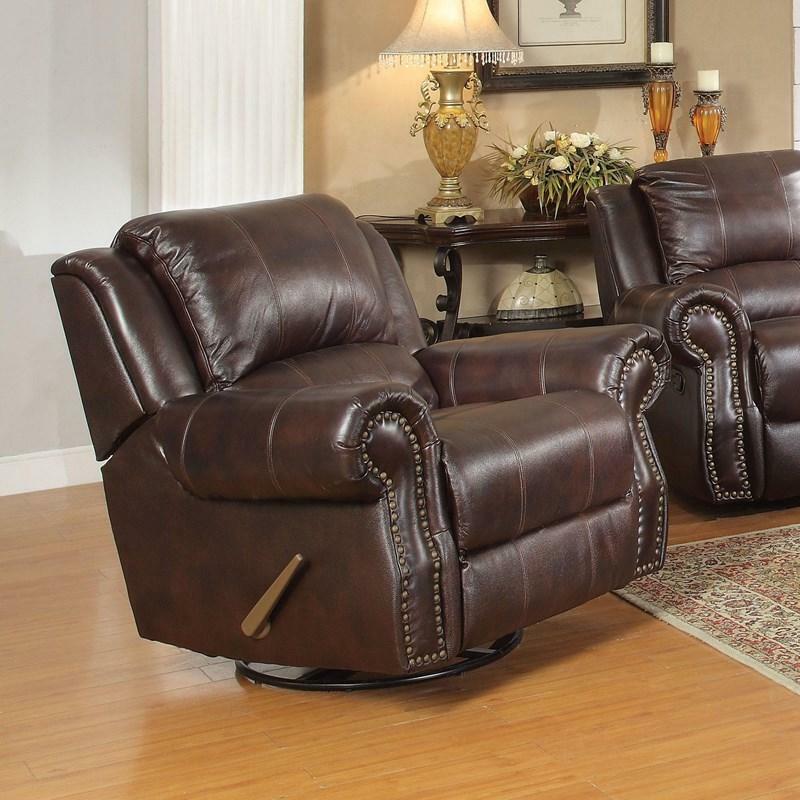 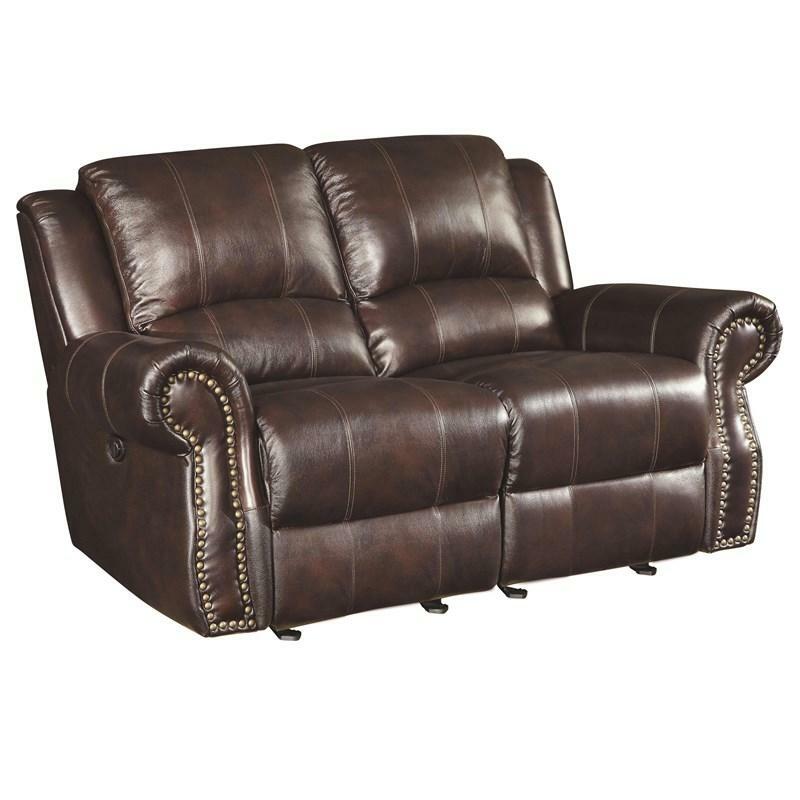 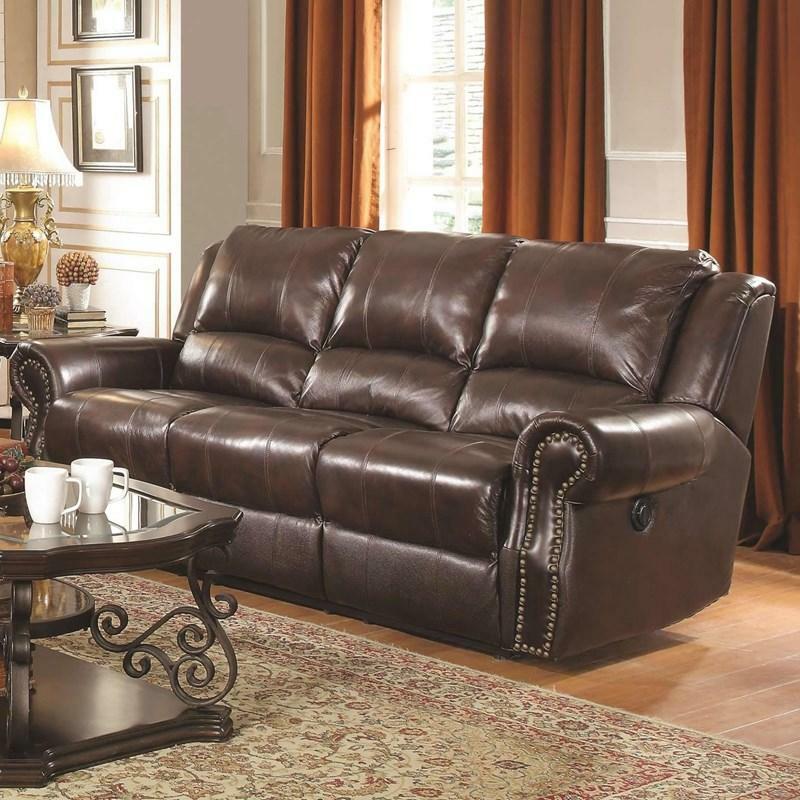 This Sir Rawlinson Recliner offers rocker and swivel motion. 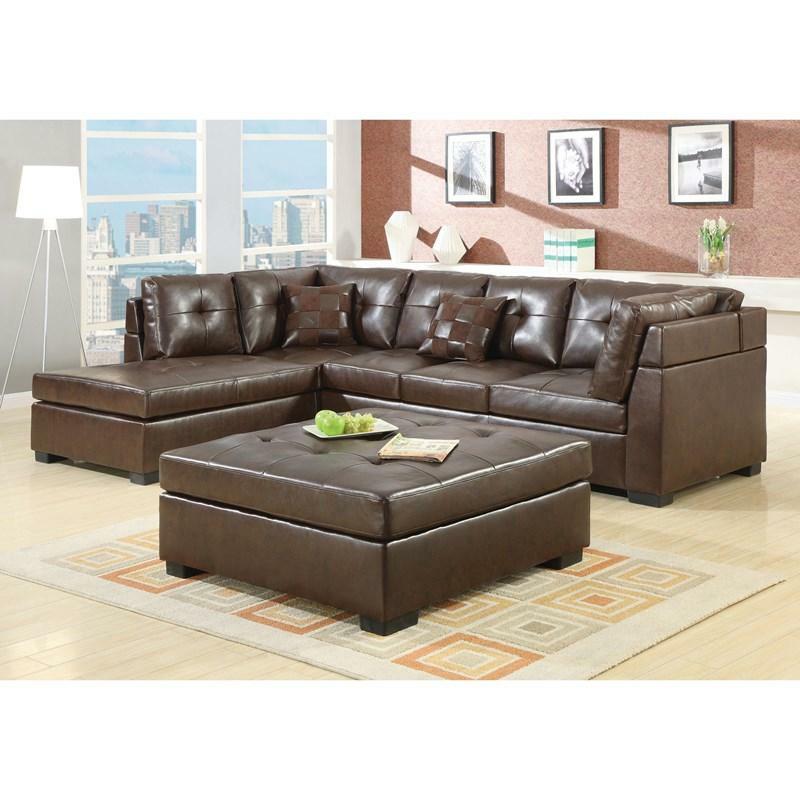 It is covered in a performance brown coated microfiber fabric and adorned with individually placed nailheads. 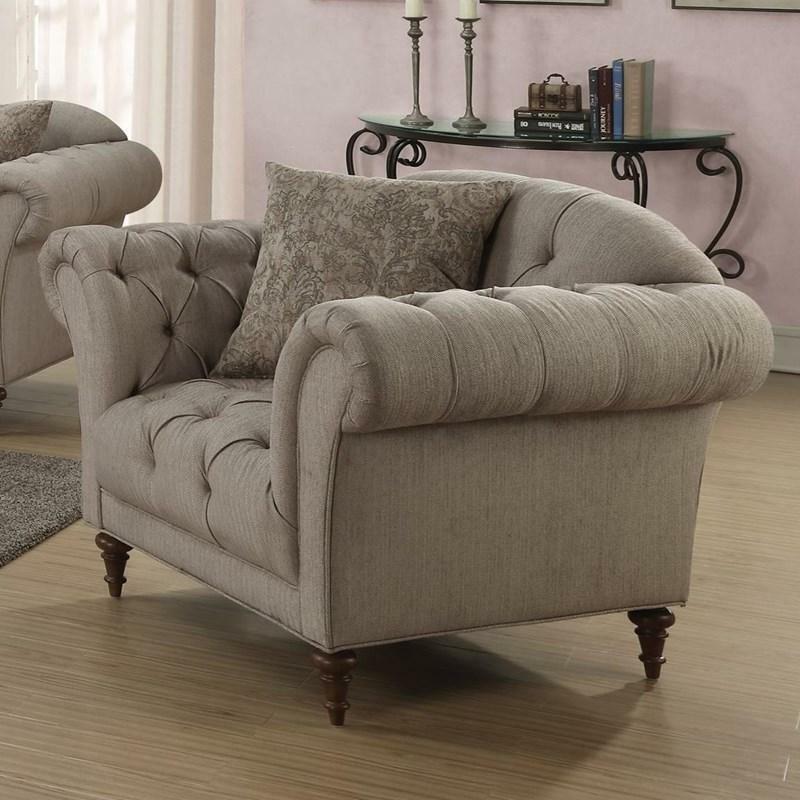 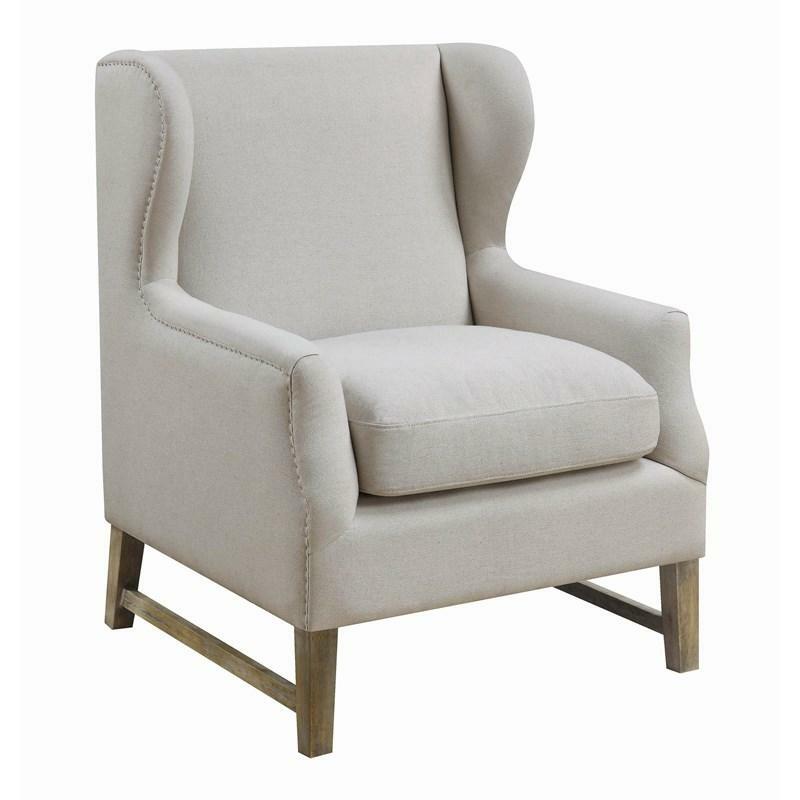 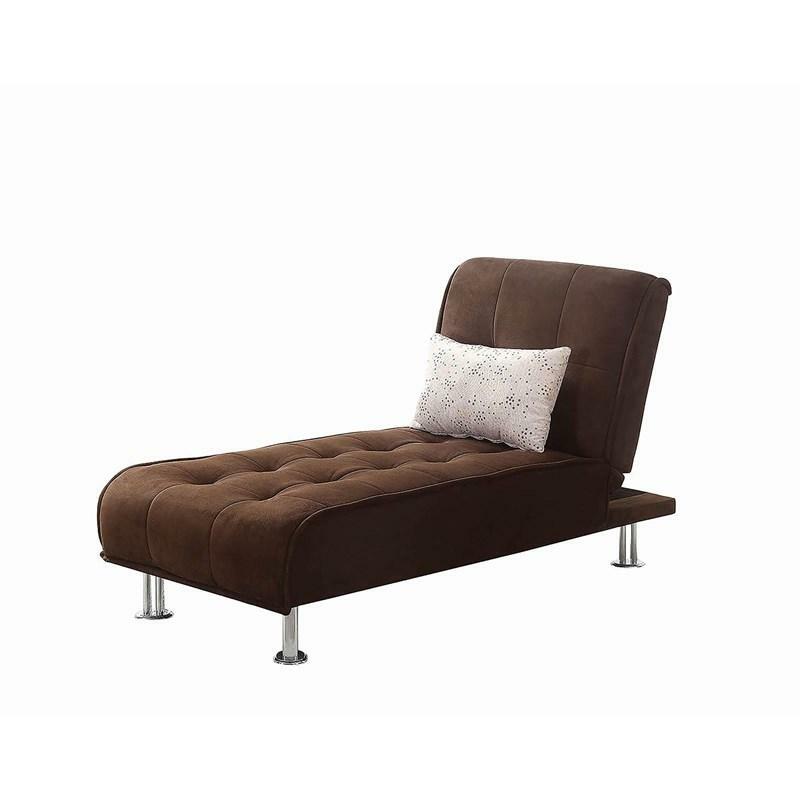 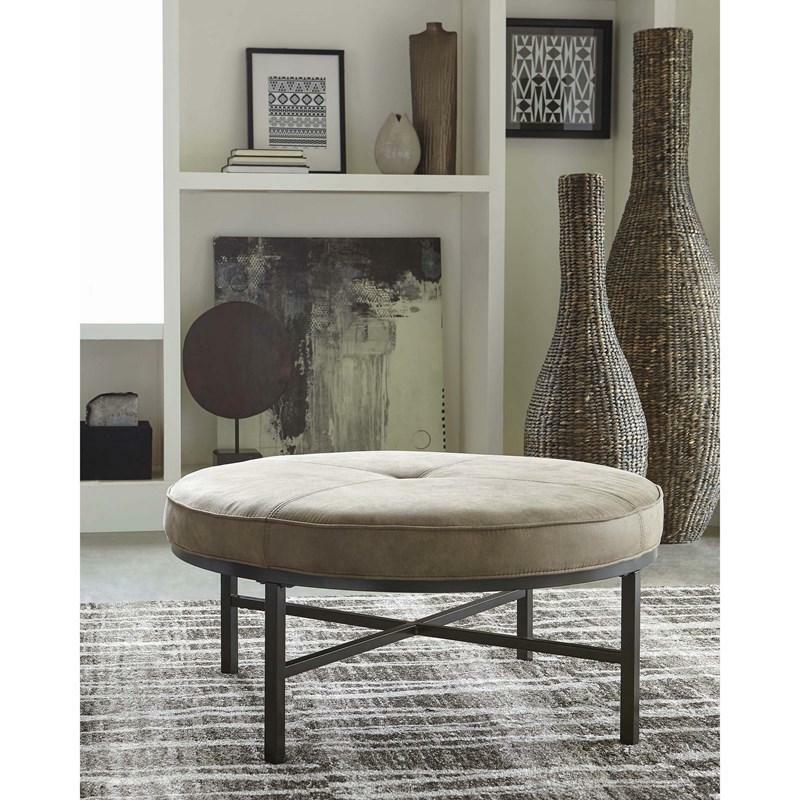 It features a pub-style back, pad-over-chaise with padded footrest, and beautiful rolled arms.